Can a man be Catholic and gay and still true to himself and his lover? But even as Colm brings peace to the parish, gritty Boston grows uglier: The Commonwealth is rocked by violent political division over gay marriage, his relationship with his older atheist boyfriend is undermined by devotion to a Church that devalues their love, the archbishop wants to sell the Franciscan chapel to the highest bidder, and there’s an abused former altar boy out there who has determined that he can win redemption by assassinating Colm in the midst of Mass. After Colm is shot in the pews, all Boston’s tensions comes to a boil, and extremists of every kind clash. His would-be assassin escapes, the archbishop and mayor only contribute to the culture wars, and Colm’s ex-boyfriend is torn between his grieving for his catastrophically injured lover and his commitment to gay liberation. When would-be assassin makes an attempt to finish Colm off, only a single disgraced priest has any chance of preserving Colm’s life. First, let me say what this book isn’t. It isn’t a protracted or detailed love story between two men. Their story is given in bits and pieces. This book is not a HEA book as one of the couple lies in the hospital near death from being shot in the face during the Catholic Mass. Now, what this book is, is even more bothersome to this reviewer. It is a complete recitation of the hatred and bigotry that both the Church and many people have against the GLBT community. Having been “inside” the Church at one time, I can tell you that the litanies of sins that are heaped upon the gay community are many and deep when piled upon one another. 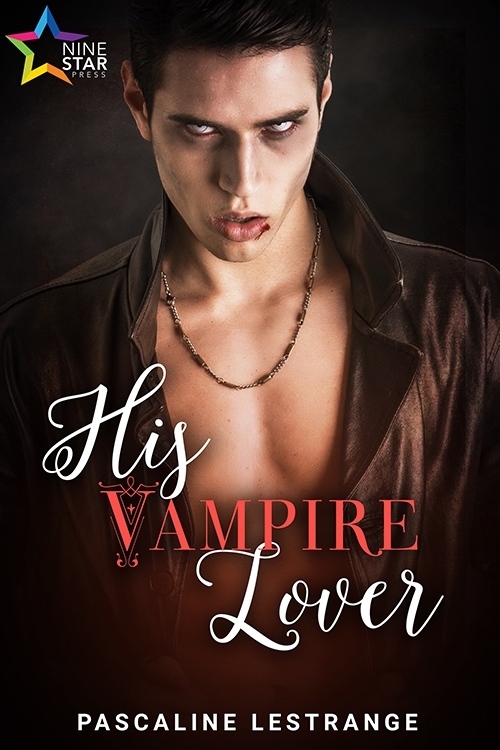 This was not a book one could enjoy if the reader is either gay or stands with the gay community. This is a book about Priest-child molestation. Even some of the prayers or words that are said by the Lector are incorrect. It is about the murder (?) of a beautiful gay man who seems to have been touched by God with a special gift which fails to protect him when a lone gunman who was molested by a Priest brings revenge down upon the Church and later again by killing an innocent Priest; both times during Mass. At least, after a long manhunt, he is captured. It got the extra half-kiss simply for the author having written a book. The author also made a separate chapter, even if only a couple of pages or so, whenever the character changes in the story. I cannot recommend this book to anyone on any level. president, the third in twelve years. With Jack’s election, he’s been promoted, and now he’s running the presidential detail, which puts him side by side with Jack daily. He’s expecting another stuffed suit and an arrogant DC politician, but Jack shocks him with his humor and humanity. Wow! 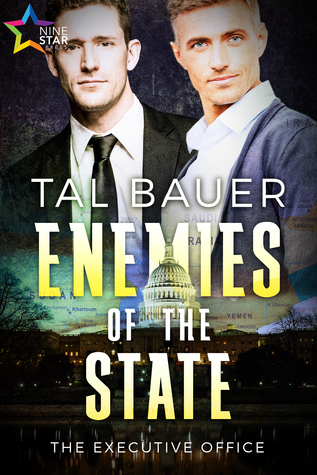 From cover to cover Enemies of the State by Tal Bauer is a roller-coaster ride full of thrilling and romantic moments. I was immediately swept up into the lives of these amazing characters. Between becoming quickly invested into their lives and the nail biting action and suspense, Enemies of the State is easily one of my all-time favorite books I’ve ever read. Since the blurb does a great job at describing the story, I won’t rehash a lot of it. I thought I’d talk about why I loved this book and why I consider it a desert island keeper. Both of the heroes are well-written men who live and breathe off of the written page. Both men are wonderfully flawed men, who strive to do the right thing. As we all know, life is never easy. Since their relationship is a forbidden one, both men must work hard at keeping their love and the friendship they share between them alive and nourished. I really liked how both Ethan and Jack really seemed to respect and love one another. Their relationship builds on friendship and trust and grows into a thing of beauty right before our eyes. They know they are not supposed to be friends, much less fall in love, but they are drawn to each other and though they fight it, they know they belong together if only they can keep their relationship under wraps and hidden away from the world. Doing this is not an easy task. 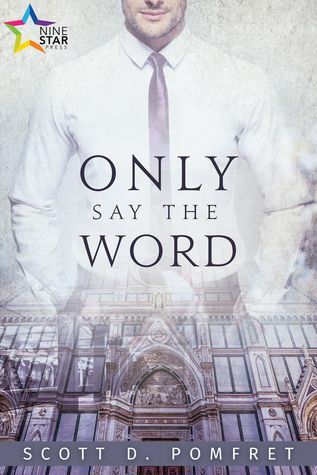 No one expects the President of the United States to fall in love with his bodyguard…much less a man, so there is much stress and guilt both Jack and Ethan have throughout the story. Between their beautiful, complicated relationship and twists and turns this story has, I was on the edge of my seat wondering what was going to happen next. You see, it’s not easy running the country and both Jack and Ethan must make some very hard decisions to keep the people safe…even if it’s making some hard sacrifices. I loved Enemies of the State and can’t recommend it high enough. Do yourself a favor and check it out. You’ll be so glad you did!